Reader reviews are in for our latest Simon & Schuster book club title: Still Water. Following the success of her debut novel, Still Mine, Toronto author Amy Stuart continues to wow us with her sinister story beats in her latest thriller. “I’m in awe of how Amy pieces together her stories. All her storylines are so carefully woven, and each page contains mystery–be it in her characters’ motivations or unexpected plot twists. 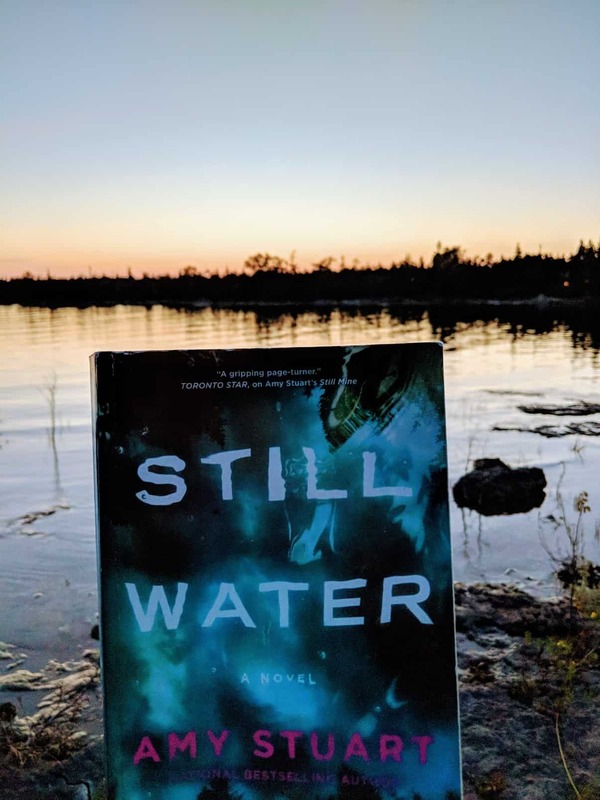 She’s a true Canadian literary talent.” Jen M.
“A gripping, layered page-turner that will take you deep into the dark forest and even deeper into the dark areas of the mind.” Maggie S.
“After reading Still Water, I shared my copy with a number of friends and we all agree it’s the perfect summer book club title! (Yay for sisterhood of the travelling book! )” Danielle L.
“Still Water is a great continuation of Still Mine (though you can enjoy it without having read the first book). With every character hiding secrets and a troubled past, you’ll be guessing at who is hiding what until you turn the last page.”Miranda R.
“Still Water is a quick and fun summer read, a suspenseful mystery that tackles tough topics and juggles odd, intriguing and refreshingly fallible characters. I highly recommend reading Stuart’s debut novel, Still Mine, to best understand characters’ personalities and motivations, but the novel is definitely able to stand alone.” Sarah P.
“A compelling summer read with rich characters!” Heather R.
“Still Water is like a puzzle that keeps changing, and piecing it together only becomes clear once you’re able to look at it in its entirety. I want to get inside Amy Stuart’s mind and see how she’s able to write such spellbinding mysteries that hook you from start to finish. Well done!” Jackie D.
“Spending a rainy Sunday in bed with Amy Stuart’s Still Water was a day well spent. I read the whole thing over three cups of tea.” Tiffy T.
Have we sold you? Get lost in this absorbing whodunnit while supporting a local author. Who knows? You may even be inspired to pen your own mystery!